End Times, KotET Chapter 8, is a fulfilment of a prediction made by Valkorion. 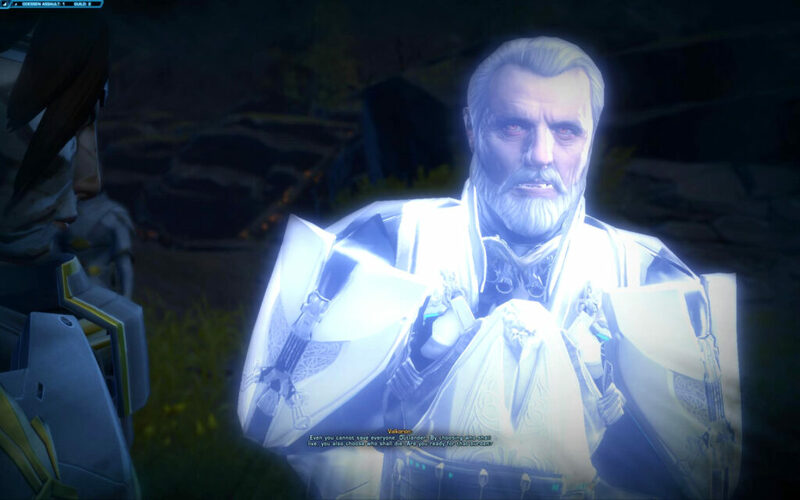 At the end of Ascension (Chapter 5), he tells you that “If not for my conditioning, Vaylin would rain death on this world” (meaning Odessen). 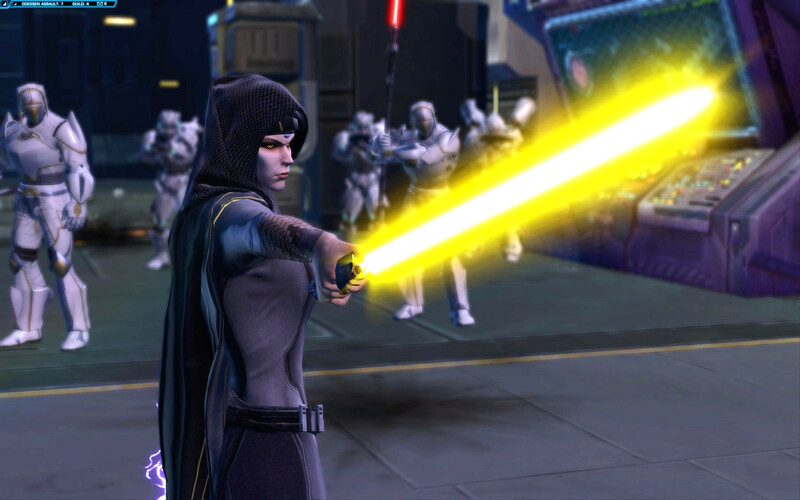 Vaylin, now fee of Valkorion’s mental prison begins doing exactly that, with the Eternal Fleet attacking Alliance Forces with everything she has. The very existence of the Alliance is at stake as the hellish fires of the Apocalyptically named “End Times” begins. This walk-through is more about story, but there are a few sections with pointers to help you. There are also a couple of bonus missions in Chapter 8 so I’ll take you through those as well. Odessen Assault here we go! 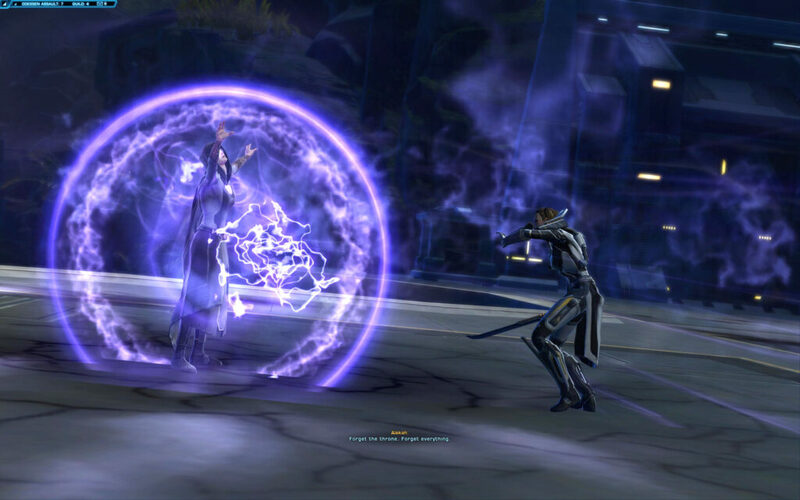 Note: This initial write-up includes Arcann and Senya should you choose to redeem Arcann. I have a character who chose to betray Senya so I’ll update this post with the variances in story when I have got that far! 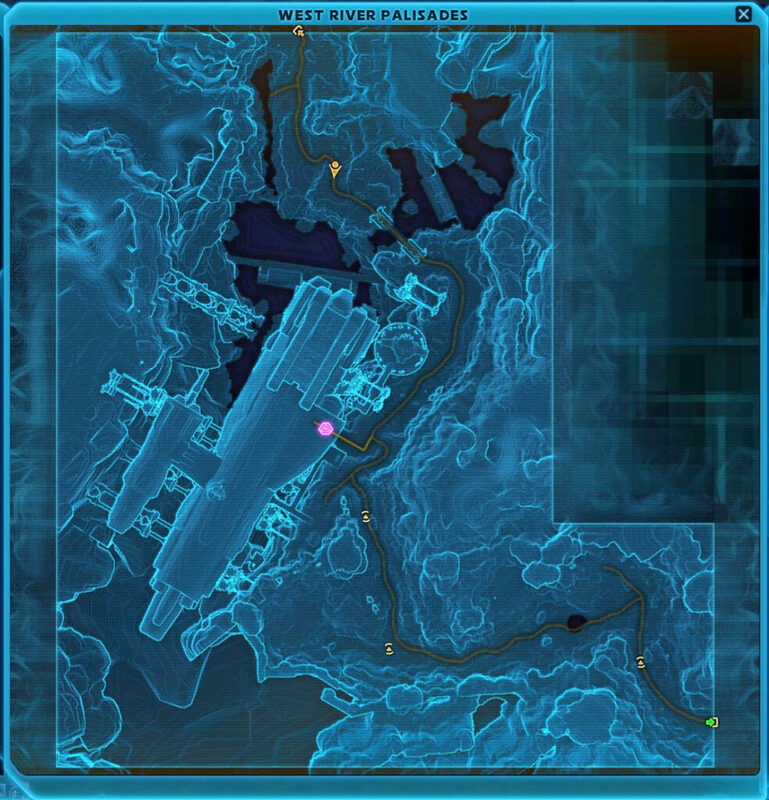 As Vaylin seems to have sent all her fleet, and the attack surprised the Alliance, the Gravestone was caught in dry-dock. The first part of End Times sees you battle to the Gravestone and free it from Eternal Empire forces to get it in the air. Once again you have to commandeer a walker (as you did in Wrath and Ruin). These are the Communications Arrays you need to destroy with your walker. Here you have a bonus mission – Key Communication – where you need to take out communication arrays (giant satellite dishes). 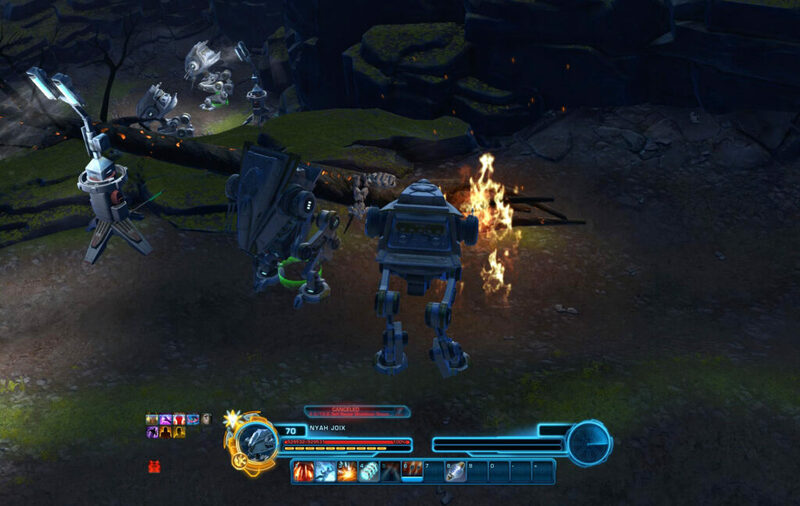 You have a self-repair ability but, unlock the droid you take control of on Iokath, you cannot self-repair while in combat. The repair ability is also interrupted the moment any mobs respawn. 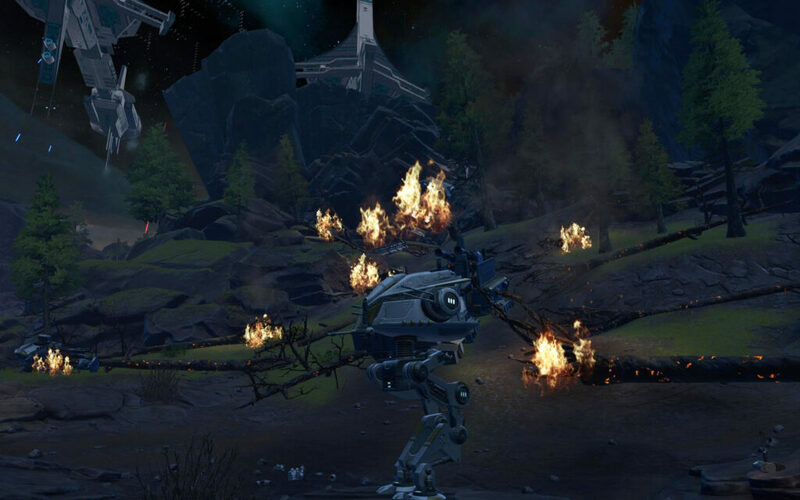 Make as much use of your AoE ability – Homing Missiles – to help against the large groups of Eternal Empire forces. You need to use Charge Weapons to use the Overcharged Cannons ability. This is a high damage, single target weapon. Most useful against Walkers and Gold Level foes. Homing misssiles have a Cool Down (max 30 seconds). This applies even if you don’t have any mobs in range (annoyingly). If you lose your walker there are others you can commandeer. You hear that the Eternal Empire is trying to take the Gravestone. 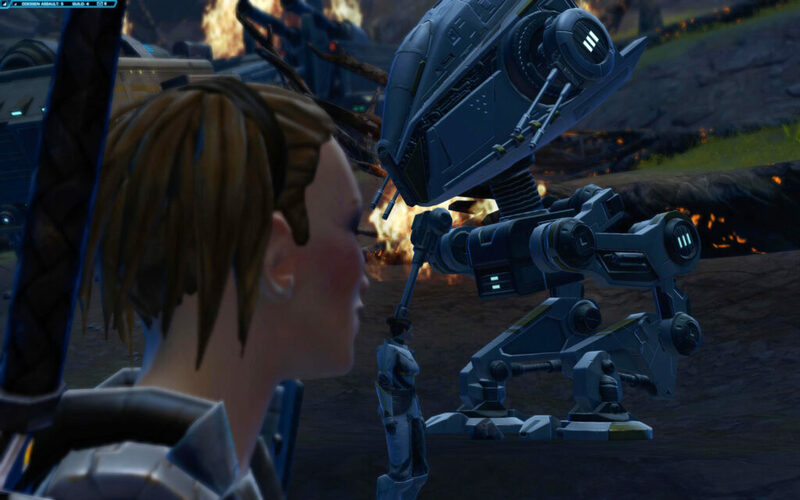 That’s when you get a holo call from Senya and Arcann, who begin despatching enemy forces around the area. You have to reach them to free the Gravestone. 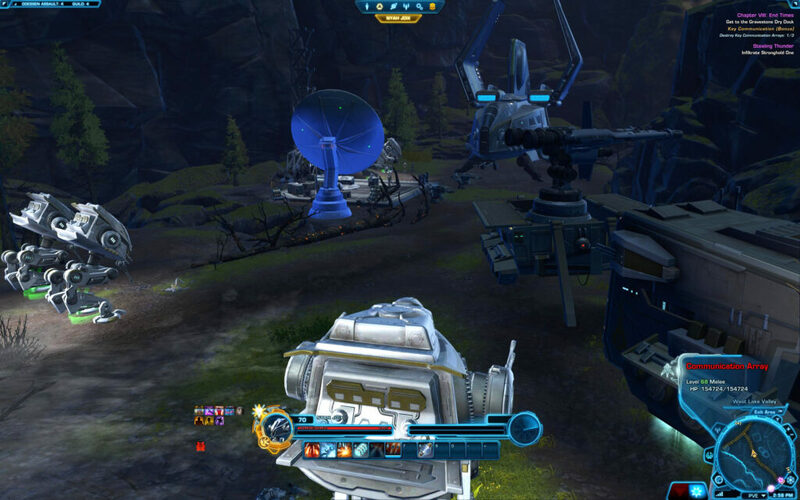 Warning: when you approach the bridge (image below) be careful of the Cannon-mounted Skytroopers. Their pushback can knock you over the bridge. This is more an issue for melée and close combat fighting disciplines. Be careful of the knock-back from these turrets. Remember the epic number of Shadestalkers from Visions in the Dark? You’re making your way through the Odessen countryside, so nature doesn’t just sit and watch! You get some new weapons in your temporary ability bar. Your Anti-Personnel Rocket is a great AoE ability. Make the most of it. 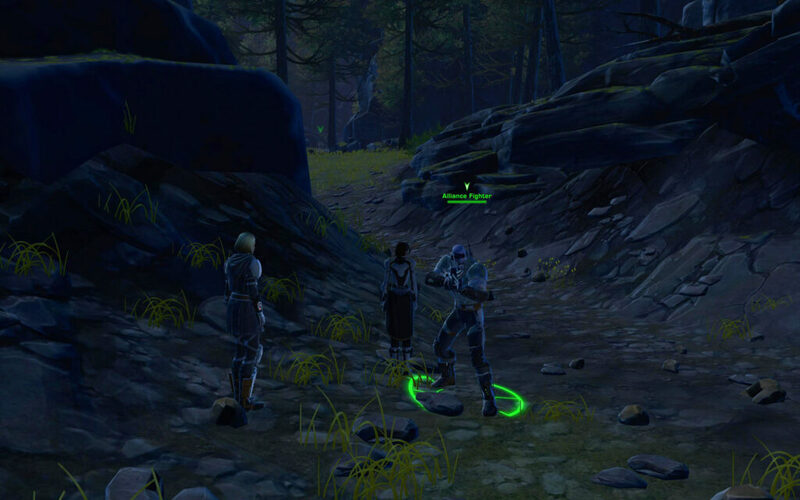 Once you’ve fought off enough enemies you find an Enemy Transmitter to tell Vaylin not to hide and come and face you. The game is on. Through the battle you come across Allies you can speak to, with nice and obvious green arrows over their head. Sometimes these are Alliance Recruits, other times they are just “Alliance Fighters”. You need to speak to 8 of these. However 2 of them are inside the Alliance Base. These can be found in the room near Underworld Logistics (the same room that has the Companion Retrieval terminal). Once you’ve gone through the second Walker Stomping session, you are faced with an impossible choice. Both Vette and Torian are overwhelmed and you can only save one of them. Why other Alliance members can’t reach them, I don’t know. But you have to make the choice. 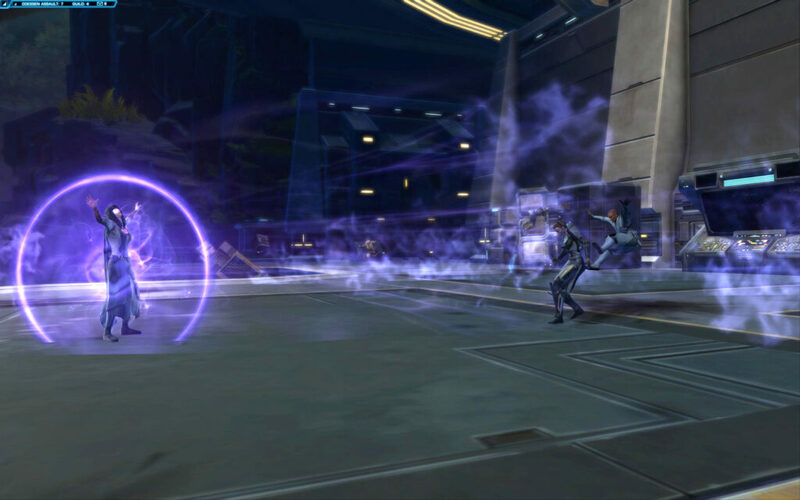 Whichever of the two you don’t save gets captured by Vaylin. It’s time to fight through the last stage to face the Eternal Empress herself. It’s do-or-die as End Times reaches its crescendo. While I hated BioWare for the Vette or Torian decision, I have to give a big thumbs up for this next bit. You have to fight through a trashed Alliance Base. You know, that safe place with your Alliance Specialists in it? Not safe any more. 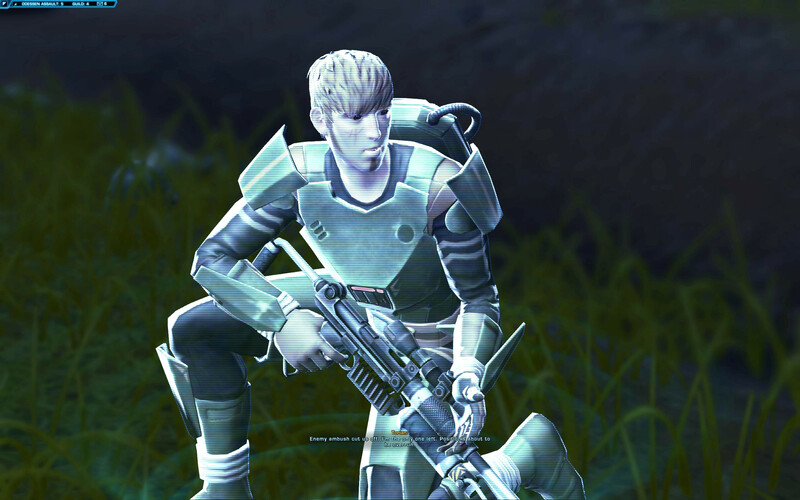 As you approach the base there is a Gold Level Zakuul Knight at the entrance – but Aric Jorgan snipes him from a nearby hillside. A great touch! Reminder: if you are missing two from the Allies in Battle bonus mission, they are in the room next to Underworld Logistics. Because you have multiple allies (at least in my main set-up with Arcann and Senya) you still get healed by your companions. 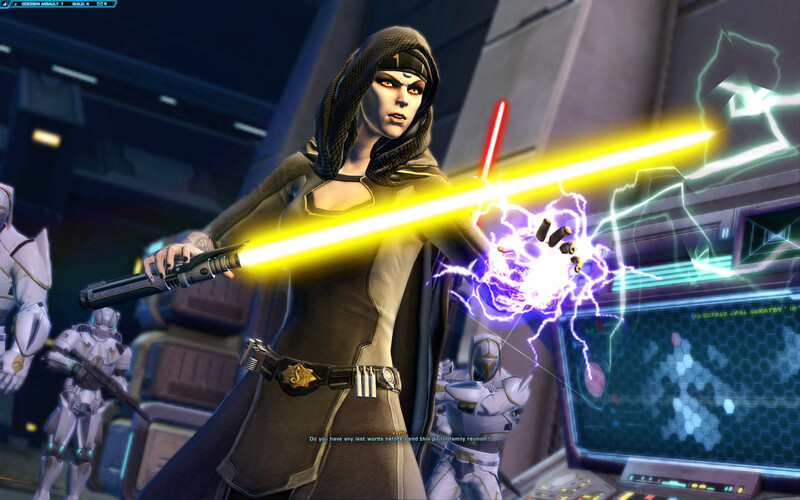 However your main issue is Vaylin’s channelled ability. This is where she sits in mid-air before exploding. This can send you over the edge. Look for a purple circle outline and make sure you’re outside it. Pull her into one of the recesses (e.g. near the ‘normal’ entrance to the base). When she ‘explodes’ you’ll only be pushed into the wall, not over the edge. 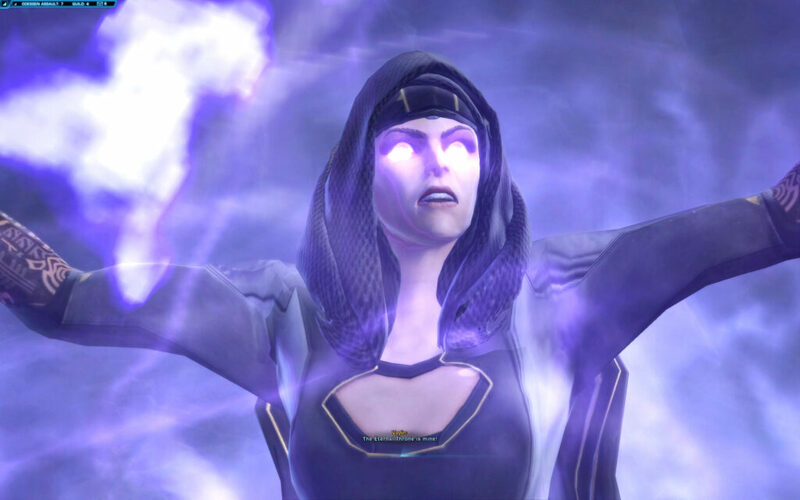 Try to avoid her ‘inner circle’ where possible as she has a stun ability. You have some weapons in your temporary ability bar – use them. If you’re DPS, consider using Arcann’s Attuned Reflection Barrier. He can’t act, but any abilities levelled at him are reflected back at the enemies. 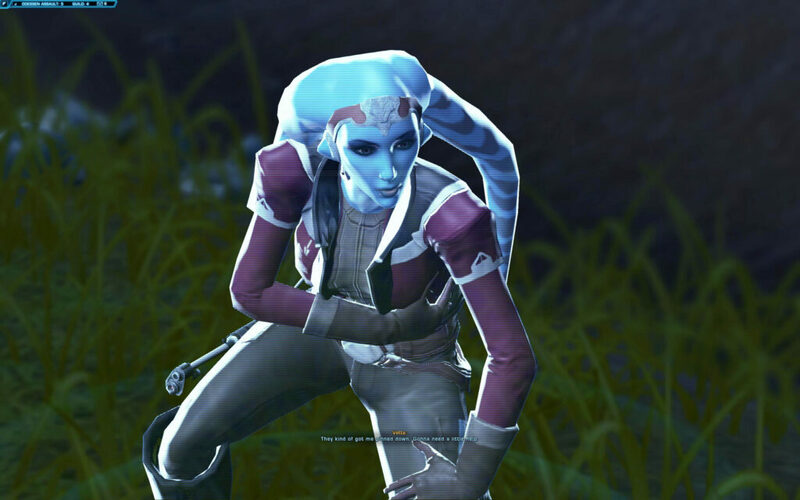 At the end of your battle with Vaylin, she has a burst of energy which looked very much like when Valkorion ‘died’ at the very start of Knights of the Fallen Empire. 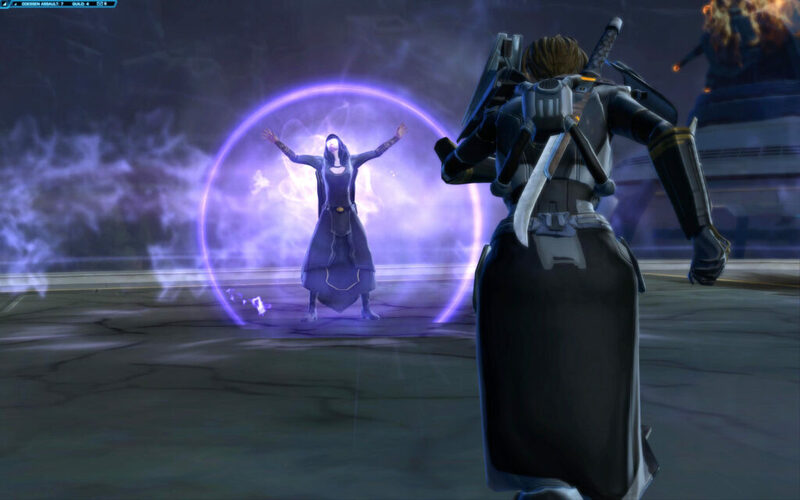 Arcann sensed it – and felt like Vaylin’s life-essence flowed into you. Here’s the few seconds of video showing this. Just as you think you can breathe after Odessen Assault, distress signals are picked up all over the Galaxy. The Eternal Fleet is bombarding planet upon planet, including Zakuul. Why? According to Valkorion, with the Eternal Throne standing empty, there is no one to command the fleet. That makes them revert to “their most primal function” – extermination. 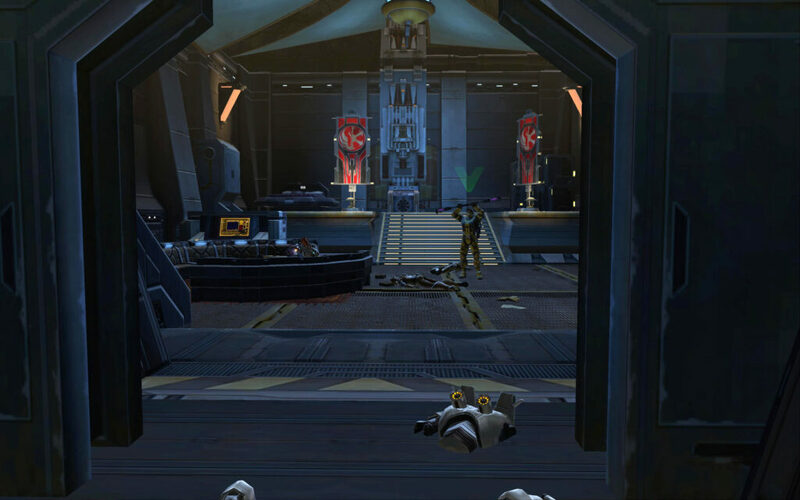 So, whether you like it or not, you have to go to Zakuul to claim the Eternal Throne to stop the Fleet’s rampage. 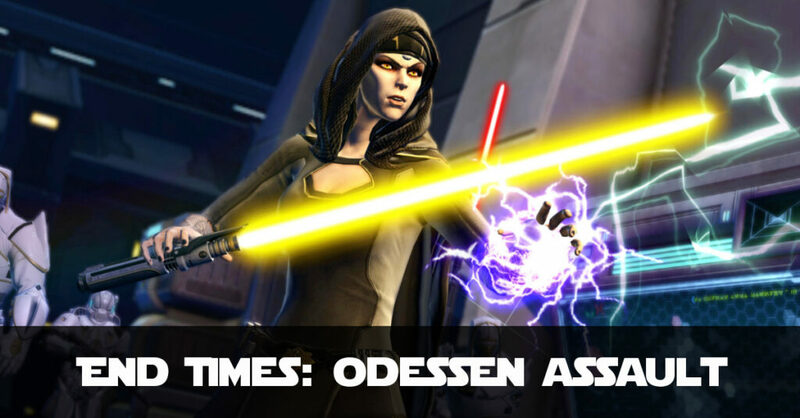 End Times is more a Battle of Odessen than KotFE Chapter 15 was to be honest! A real warzone, real assault and real casualties. You had to reclaim the Gravestone and clear your base out of enemy troops. You had to communicate with your allies through the battle. You were, in a very real sense, the Commander. But war always comes at a cost, often a very personal cost. And that means losing either Vette or Torian. Odessen may be saved, but End Times simply paves the way for Chapter 9 – The Eternal Throne. Are you strong enough?